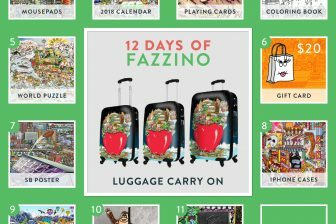 Enter the Fazzino “For the Love of Dog” Contest! We’re at it again and this time we want to see your DOGS! 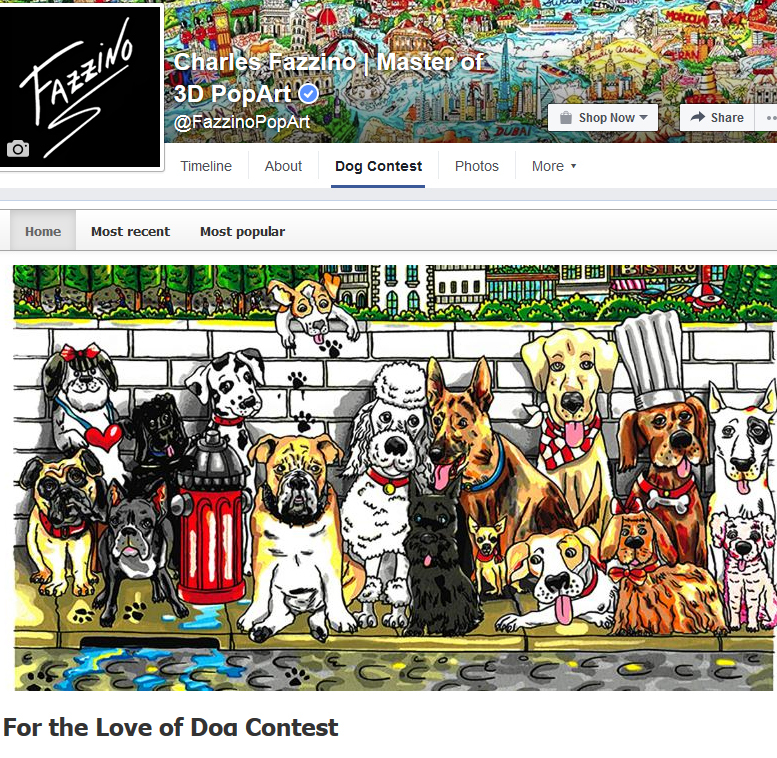 We’ve officially launched the FOR THE LOVE OF DOG contest to coincide with the release of Fazzino’s new limited edition titled “Paws in Paris.” It’s open to all Facebook Fans so make sure you get your entry in. The contest runs until June 30th. All you have to do to enter is submit a picture of your canine companion and tell us why he or she is the BEST! All entries will be posted on the contest site so viewers can vote on their favorites. Get all of your friends, family, and co-workers to VOTE! 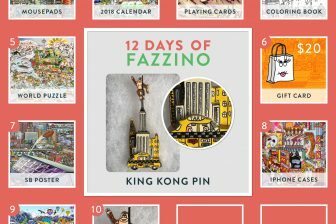 We’ll award one Fazzino 3D limited edition print “Paws in Paris” PERSONALIZED WITH THE WINNER’S DOG to one grand prize winner in July. 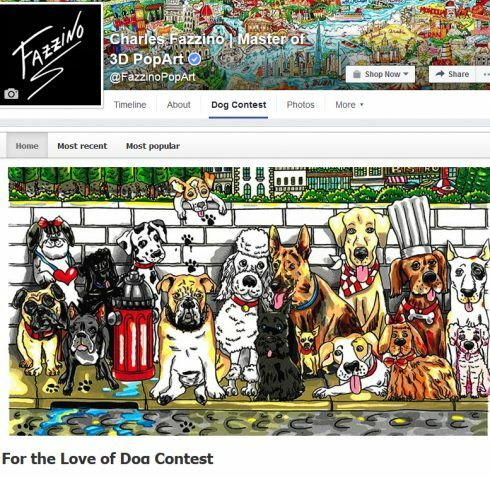 Three runners-up will receive a Charles Fazzino book “O Beautiful for Spacious Skies” dedicated with a sketch of their dog. 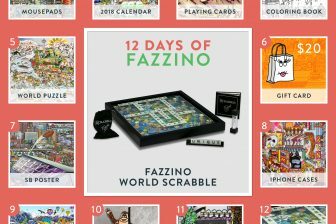 The immortalizing of the winner’s dog in the Fazzino print will also be broadcast LIVE on Facebook! Click here to get your Entry in Today!